Petite Black Leather Platform Ankle Boot INGA by Pretty Small Shoes. Time to work a little funky edge into your look with this twist on the ever popular Chelsea boot. 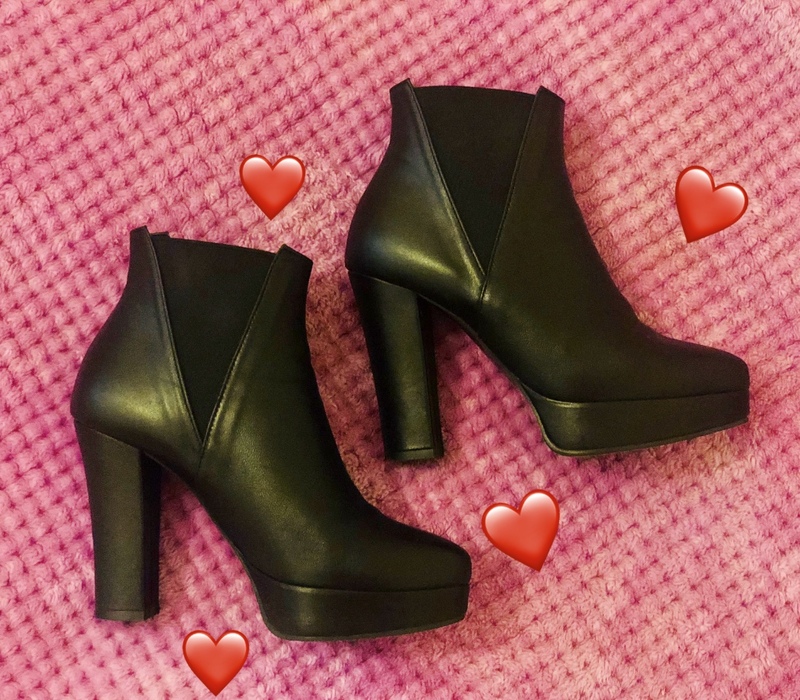 A black leather upper matched with an elasticated gusset detail, atop a towering 10cm block heel with 2cm platform give an effortless lift and masses of attitude. Jeans are the top pairing while black pencil skirts are a great option too. These booties are so light and comfortable I cannot get enough of them. Perfect for a casual wear, perfect for a night out...anytime. Best purchase ever. Thank you Pretty Small Shoes for taking care of our little feet! Great shoes, fits perfectly, first shoes with heels I am able to walk in ever... ever... I have a problem with balance so I couldn’t wear high heel shoes or boots. But Inga shoes changed that. If I can walk you can walk too! Stylish yet elegant!